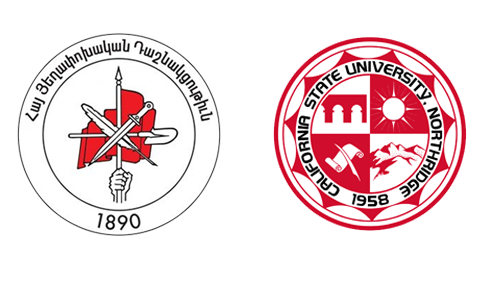 GLENDALE—In commemoration of the 100th anniversary of the founding of the first Republic of Armenia, the Armenian Revolutionary Federation (ARF), Western United States (ARF-WUS), in collaboration with the Cal State Northridge Armenian Studies Program, has organized a two-day academic conference, “Armenian Statehood Reborn: Achievements and Reflections.” The conference will take place on May 5 and May 6, 2018, at the Plaza del Sol Hall, on the campus of CSU Northridge. The ARF-WUS’s Republic of Armenia 100th Anniversary Steering Committee has assembled an impressive program featuring renowned scholars from across the globe. The conference will critically examine new interpretations, paradigms, and narratives about the political, social, economic, and cultural factors that shaped the history of the first Armenian Republic. The ARF-WUS invites the community to take part in this reflection of one of the most pivotal events of modern Armenian history. “The 100th anniversary of the First Republic’s founding presents a significant opportunity for the community to examine those crucial years, while utilizing the different perspectives that have developed over the past hundred years. It is essential now that we mark this occasion by reflecting upon the history of Armenia’s sovereignty in order to understand the challenges of statehood that exist today,” said ARF-WUS Chairman Daron Der-Khachadourian. The conference will feature an in-depth and multifaceted examination of the re-emergence of Armenian statehood in 1918-1920. “We envision the conference as an event that casts a retrospective eye on the far-reaching impact of the First Republic on the Armenian state and the Armenian people. The establishment of the First Republic was truly a momentous occasion. Actualized despite great odds and immense obstacles, this event speaks volumes to the tenacity of the Armenian people and the vision of creating a collective future. The program that the organizing committee has tailored will appeal to scholars and the public alike,” said Steering Committee member and University of California, Berkeley History Professor Stephan H. Astourian. The event will be free and open to the public. Further information about the program and speakers will be presented in the coming months. Earlier this year, the ARF Eastern United States Central Committee announced plans to hold a large-scale conference in 2018 devoted to the First Republic of Armenia. Details will be forthcoming.